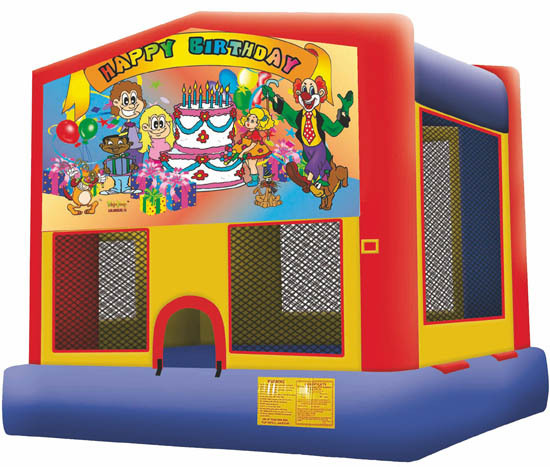 Our Happy Birthday Moon bounce will provide hours of excitement for your next party. Our brand new amusement rental with the cutting edge Happy Birthday theme will definitely grab the attention at just about any birthday party. If you are looking for an even bigger attraction, please ask about our Rock Climbing Wall rentals in VA, MD and DC. As a centerpiece for major events, this attraction will definitely turn heads!